Angie from Ohio that visited one of our classes few years ago asked me lately about considerations regarding purchasing a new domestic gas stove. I thought it might be in the interest of others, therefore sharing. A main consideration is the use of the stove, according to your family size, your cooking habits – daily vs. weekends only, how often do you host large diners or parties and how many family members are actually using the stove. Evaluating the above will help you to focus on the right model that would fit your family needs, budget and space in the kitchen. Numbers of burners. The main reason I prefer a 5/6 burners stove is not because I cook in 6 pots every diner, but also because of the space it has in between the burners. 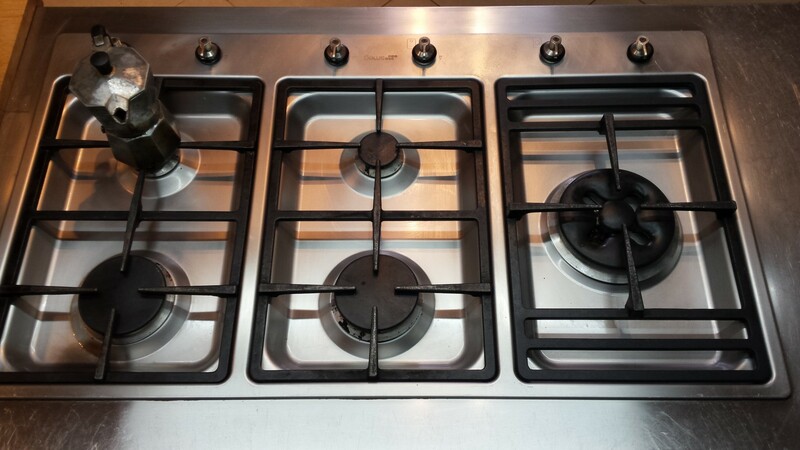 For its dimensions, a 4 burners stove would not be able to contain 3 pots at once, unless you move them from the centre of the burner, what makes it cook unevenly, cause a waste of energy (gas) and prolonging cooking time. Size of burners. Most of gas burners has capacity of 1.5 – 2 KW, and a high burner will have a 3KW capacity. Make sure to have at least one high flame burner. This is very useful for boiling water (pasta, stock, risotto) and for stir frying dishes. It is also excellent for warming up correctly steaks pan. Materials. This is a major issue to look at. A stained or burnt cooking surface will give an awful look for every kitchen, even the most clean and modern one. 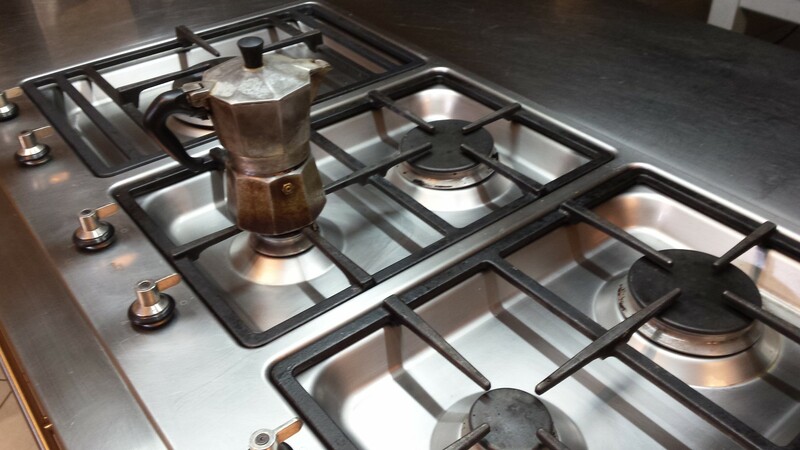 A stainless steel cooking top will always keep its bright look and will last many years. I also will go for cast-iron frame-holders and bar screens. Although their relatively heavy, they will last long and will better use and distribute the heat. Ease of Cleaning. Last but not the least. Probably one of the most important consideration is how ease to clean and maintain is the stove. Make sure that the removable frame holders can be washed in a dishwasher, otherwise you will have to do it manually, and not all kitchens are equipped with large sinks. The cooking top should be as smooth as possible. Avoid models with curves, folds, sharp corners or any other design that favourites accumulation of fat and dirt. Choose a design that will be easy to clean and maintain on the long run. Stagi does not hesitate to touch sacred cows like Slow Food movement, the BIO trends, the Foodies. She analyze the background that brought to their successes, their role in the society but also suggests that they are already a kind of a main stream that take part of the current politically correct ideas about food production, consumption and presentation. Stagi also discuss food bloggers that “crossed the lines” into their own TV/Net shows, importing into the new media the blogger methods. Are you feeling as artichoke? 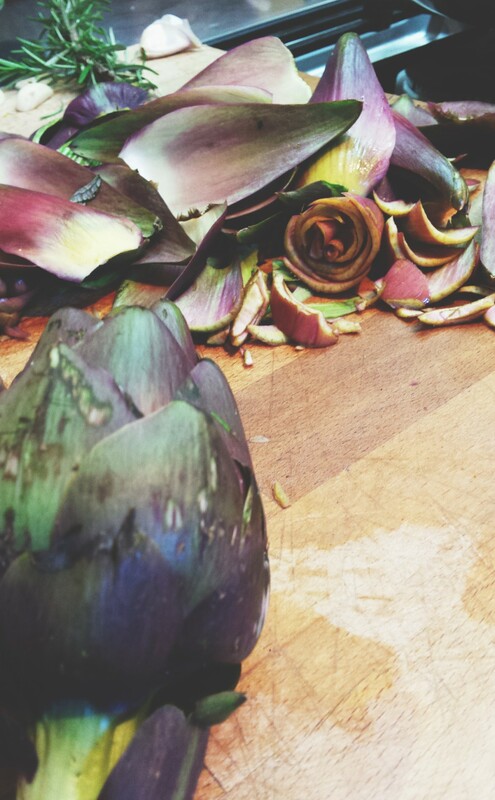 In Italian, if you want to say that someone is ugly, you call him “Carciofo”, Artichoke. It is just the beginning of the season but I think I’m going to surround myself with a lot of those. More they ugly, more I like them.